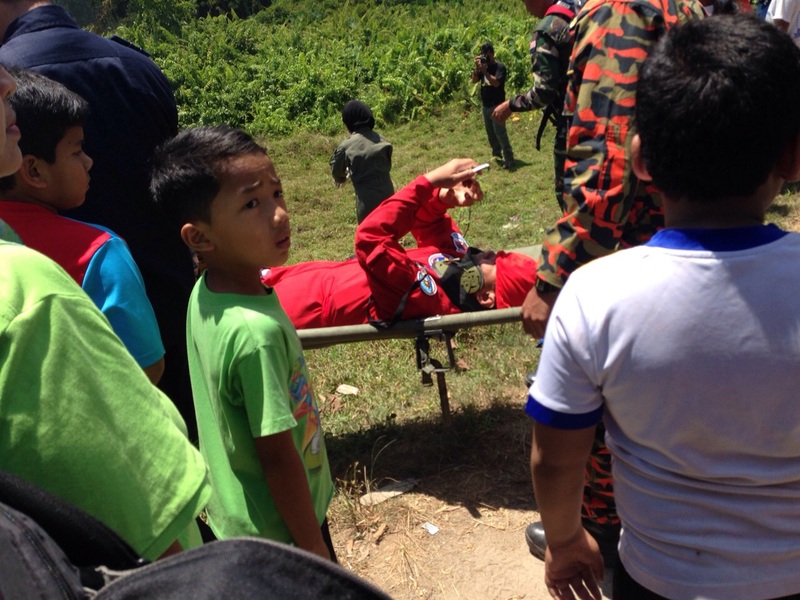 The Indonesian defence minister expressed relief that the two airplanes from Indonesia’s Jupiter aerobatics team did not crash at the Langkawi International Airport. This is because according to Ryamizard Ryacudu, if the planes had crashed at the airport which is now busy with a variety of aircraft in conjunction with the Langkawi International Maritime and Aerospace (LIMA) exhibition, the accident would have been worse. Two Jupiter planes grazed in mid-air and crashed at 2.04pm during a training practice at the 2015 LIMA exhibition today. Pilots of both planes ejected from their aircraft and landed safely with their parachutes. One of the aircraft crashed outside the perimeter of the Langkawi International Airport but the other crashed just outside the airport. “The pilot did avoid crashing on the airport and houses. Thank God, he managed to divert the plane,” he told Bernama when met at Langkawi District Hospital Sunday. Ryamizard was in Langkawi for the 9th ASEAN Defence Ministers’ Meeting and LIMA and had earlier visited the four pilots involved along with his counterpart from Malaysia, Datuk Seri Hishammuddin Hussein. According to Ryamizard, what is important now is that all four of them are in stable condition and are being closely monitored by doctors and medical personnel at the hospital. Asked whether the Jupiter aerobatic team will continue their performance in LIMA, Indonesia’s defence minister said for now they will continue with the show. The two aircraft crashed at Permandangan Indah, Padang Mat Sirat and Kampung Gelam, Kedawang just outside the airport.